RateTiger helps hoteliers monitor competitor rates in real-time across third party channels and identify discrepancies to achieve rate and sales position for price optimisation and accurate forecasting. 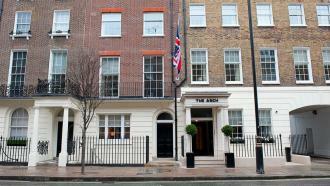 AB Hotels is a collection of three family owned luxury hotels in London and the south-east of England. The group will receive the rate data from RateTiger Shopper to make adjustments to the dynamics of the local market. The revenue management team will be able to compare rates and packages of its competitors, like-for-like, at both beds and room-type level while also being notified immediately of competitor rate changes through rate alerts. "AB Hotels is delighted to be working with RateTiger by eRevMax as we endeavour to constantly improve the tools we use for revenue management. RateTiger offers the most detailed and comprehensive solution in the market and this allows us to have more knowledge over our competitors and ensure we are competing as best as possible," said Rafi Bejerano, AB Hotels director. "With RateTiger, the hotel group optimises its current and future rates by matching pricing data ‘apples-to-apples’ for effective rate decision making. RateTiger’s shopping data is in demand for the qualitative and real-time value it provides to hotels. The real-time nature of the data assists AB Hotels by maximising rate opportunity for each property in its distribution network allowing them to maintain their rate leadership value proposition," said Cristina Blaj, eRevMax sales director, Europe. RateTiger Shopper provides business intelligence data in real time, on-demand online or through scheduled daily / weekly report. eRevMax’s shopping data is in demand for the qualitative and real-time value it provides to hotels. Image: AB Hotels has chosen to benefit from real-time rate intelligence and competitor price analysis with eRevMax. Photo: courtesy of eRevMax.